Our striking program is three fold, Thai Boxing, Filipino Martial Arts, and Fitness. 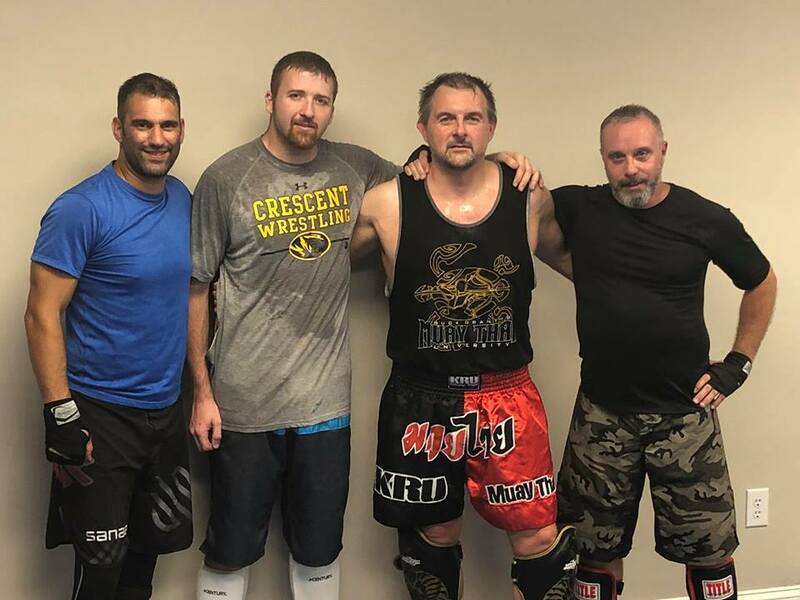 The stick and knife combatives program at CC is based in the long history of edged weapon tactics and combat from the Filipino martial arts (FMA). Our South Carolina Training Group meets every Saturday morning at 9am for training. We focus on practical, real world self protection against edged weapons and using edged weapons. Our primary training blade is a standard "folding lock blade" knife like most every day carries "EDC." We train practical scenarios with blade and also empty hand against blade, along with proper carry and deployment. The training group is laid back and very non threatening, but a fantastic opportunity to practice real world self-protection against a potentially very real threat. Our group fitness classes are structured to be a fun and heart pounding experience while learning cool self defense concepts and techniques. No gi grappling at Clemson Combatives is conceptually all encompassing of grappling arts including BJJ, folkstyle wrestling, freestyle wrestling, Judo, Sambo and more. Where jiu jitsu is "fine motor" submission wresting or no gi is "gross motor." Speed, transitions, agility, aggression and tenacity are key features in our no gi grappling program. The training is fast paced and a definite grind, but well worth it in the end. Our no gi program is seen as a terrific enhancement to our BJJ program. Kids programs at CC are fun and challenging. Classes are divided into age appropriate groups so students have the opportunity to learn and grow at a pace and in a way best suited for their progression.